What does the PCV valve hose do? When combustion occurs in the engine, a certain amount of air and fuel is pulled down by the pistons slipping through the piston rings and into the crankcase. The Positive Crankcase Ventilation (or PCV) system is responsible for transferring these fumes from the crankcase, through the PCV valve hose and back into the engine’s intake manifold, where they are re-burnt to improve fuel economy. 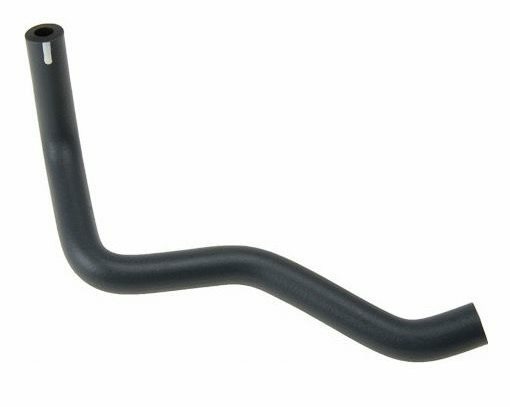 Fully functioning PCV valve hoses help to ensure that your engine runs correctly. Problems with the PCV valve hose can affect the transferring of emissions back into your engine. This can lead to problems with the air/fuel ratio and engine performance. For this reason, it is important that damaged/leaking hoses are replaced to keep your engine running optimally. Check engine light is on – When the PCV valve hose is leaking, an unexpected amount of air and fuel will be reintroduced to your engine cylinders. This can affect air/fuel ratio inside the engine’s combustion chamber which triggers the Check Engine Light. Hissing sounds while driving – You may notice a loud hissing noise coming from around your engine. This can be caused due to fumes leaking out of the hose at a high speed and pressure. These fumes can be damaging to surrounding components due to their high temperature. Reduced engine performance – A damaged PCV valve hose can cause your engine to stutter, stall, idle roughly or struggle with acceleration. Increased fuel consumption – A leak in the PCV valve hose will prevent the recycled emissions from reaching your engine and being reburnt. This will affect the fuel economy of your vehicle. Are you having problems with your car’s PCV hoses, valve or sensors? If so, we can help! At Grimmer Motors, our team of skilled mechanics can quickly diagnose, service and repair issues in your car’s engine. We have advanced scan tools, and air / fuel ratio sensors which allow us to quickly determine the cause of problems associated with engine air/fuel ratio. If we notice that your PCV hose is leaking, we can replace it. This will greatly improve engine performance and fuel economy. For PCV valve hose repairs, diagnostics and replacement in Hamilton, contact Grimmer Motors today!